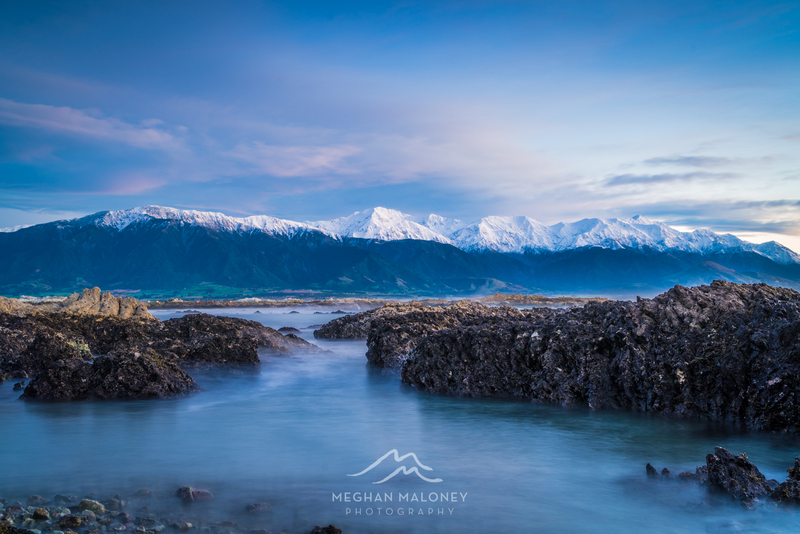 Kaikoura is one of those places that brims with the promise of abundant nature and incredible scenery. 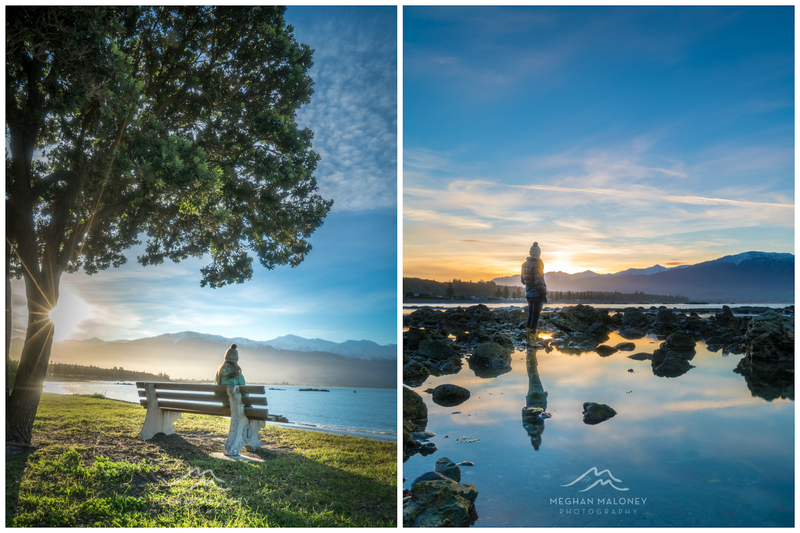 Where else in New Zealand can you be right by the sea yet have snow capped mountains towering directly above? 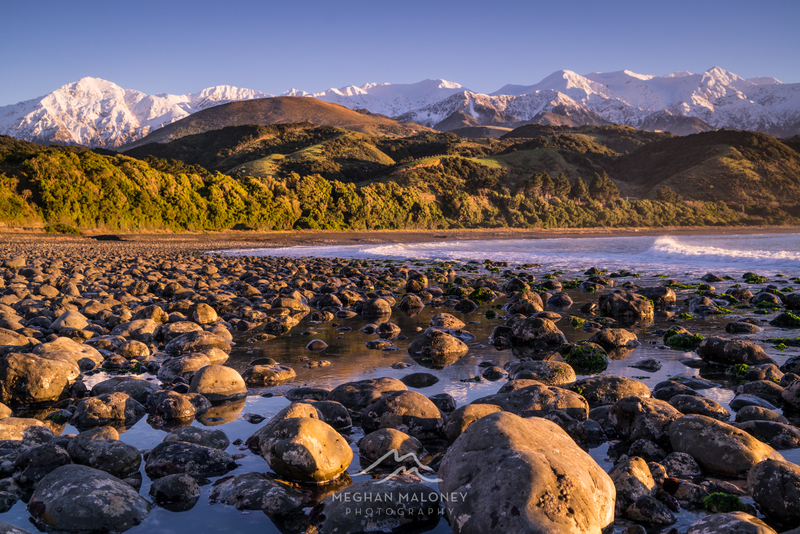 The Kaikoura area is also very unique in the world because of the deep underwater canyon found literally 800 metres offshore which brings marine life much closer to shore to search for nutrients in the dark depths that are up to 1km deep - which is why it's such an ideal spot for whale watching. 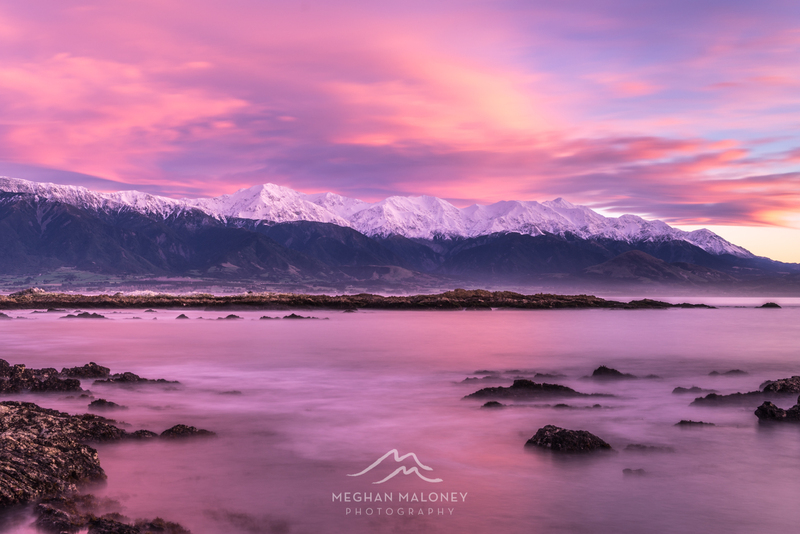 I recently spent the weekend in Kaikoura hosted by Whale Watch Kaikoura along with my good friend and fellow photographer Laurie Winter. 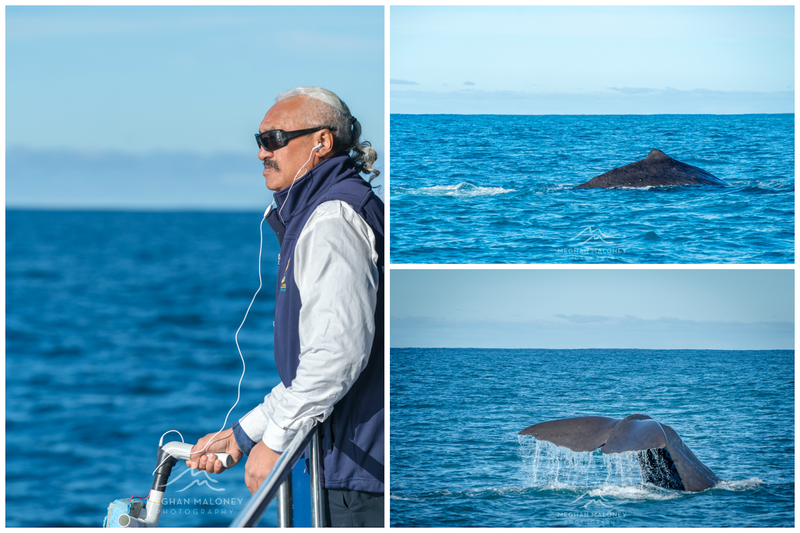 We were so fortunate to be blessed with incredible weather the whole weekend which made conditions favourable for two trips out to see the resident sperm whales found off the Kaikoura coast. Having arrived in the dark after driving up from Christchurch, we awoke to frosty and clear conditions the first morning and set a course for Mangamaunu Bay to capture the sunrise. This is a popular surf beach in the area, and sure enough by the time we were packing up to leave and head back to town, there were several cars parked up with keen surfers getting ready to head out despite the fact it was mid winter - so much braver than me! They have the largest brain of any animal, all 9 kg of it! When the boat is out on a tour, the crew will often listen to the whales on their hydraphone to track their exact location so that they can be in the right position for when the whales come back to the surface - I can say it's a highly sophisticated and accurate tool having seen it in action! 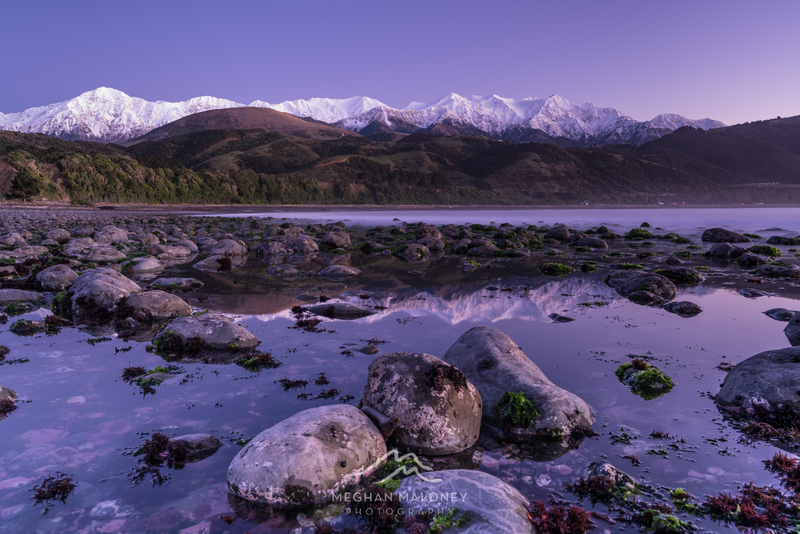 If you sign up to the Kiwi Whale Watchers Club you also get 50% off any subsequent tour in the winter months, and based on my experience I'd say winter is a great time to go because you get the benefit of beautiful snow capped mountains to gaze upon while you're out to sea as well! The crew can also tell when the whales are going to make their dive back down to the deep, so they will let you know in plenty of time to get the camera at the ready for that famous 'tail' shot like you see below. 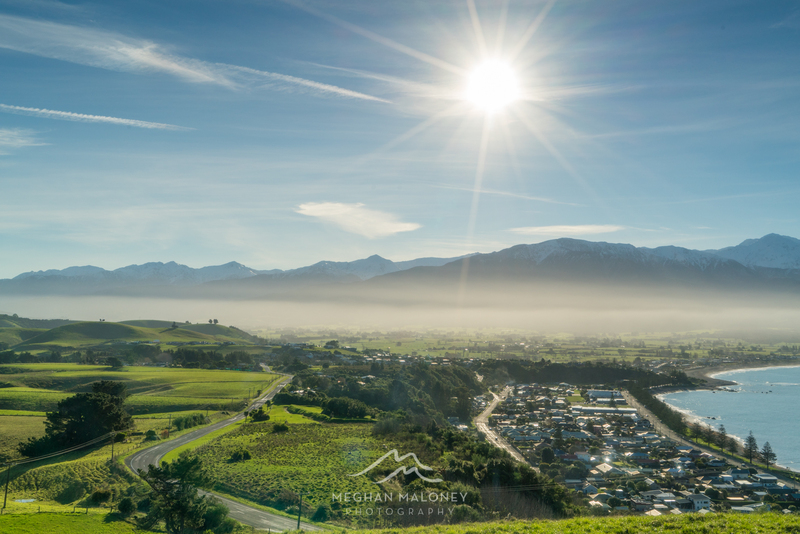 You might already be aware that the Kaikoura area was hit hard by the massive 7.8 earthquake in November 2016. A 110km section of coastline was uplifted up to 6 metres, and the quake cut the main highway both north and south of Kaikoura leaving it completely stranded. It was a huge blow to the local economy and whale watching operations had to stop for a while until they could find a way to return to the water with the marina having been left high and dry. But with the resilience Kiwis are famous for, members of Whale Watch Kaikoura were tasked with helping out with the local clean up operation until the boats could get back out on the water, and they were back at full capacity within a year once the seabed had been lowered enough to get the boats back into the marina. It was also obvious driving to Kaikoura just how big a job it was getting the road re-opened, and even now 18 months on there are still many one-way sections on the road in and out, but with it being such an important section of road connecting Christchurch with the north of the island the crews worked hard to get it up and running as soon as possible. After our first tour, we enjoyed exploring the various vantage points over Kaikoura including the lookout over the town and the views from the walkway (although we didn't have enough time to explore the whole thing on this trip). Sunset that night was spent down on the main beach soaking up the beautiful sunshine and we even saw a whale shaped cloud turn pink before our eyes! 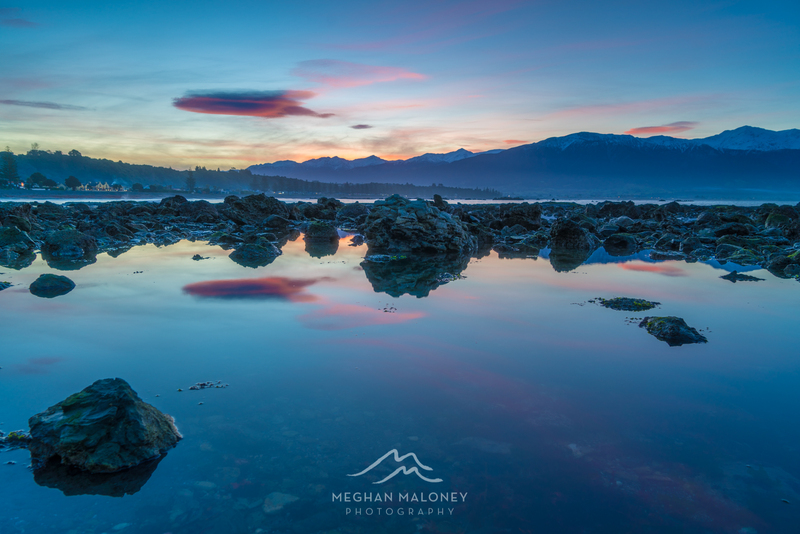 The next morning we were treated with an incredible show of colour at sunrise - seeing the sea turn pink is not something that happens every day. 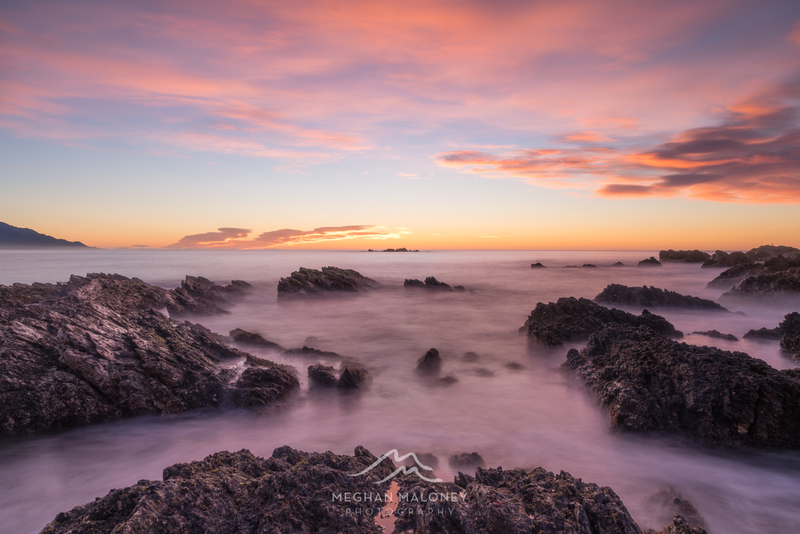 I was sad to leave this beautiful spot after just two nights, and if I'd had more time I could certainly have found myself swimming with the dolphins or visiting the albatross colony and enjoying more of the wonderful hospitality that Kaikoura has to offer. 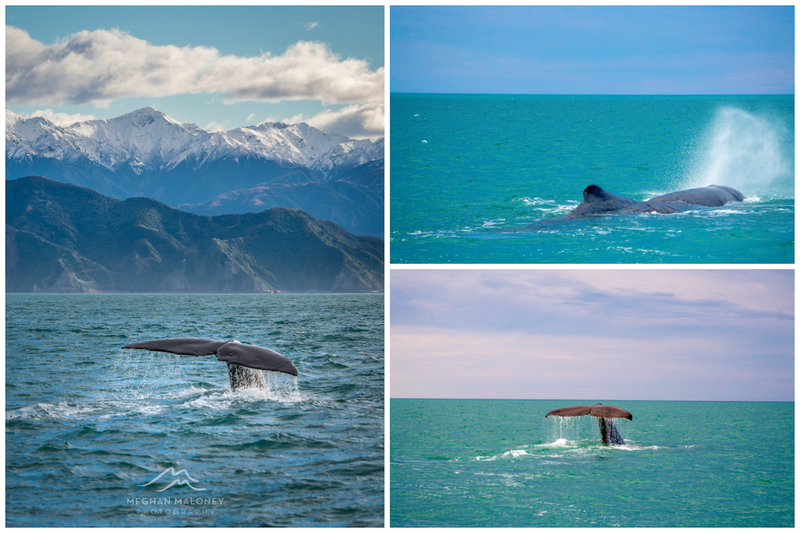 The weekend in Kaikoura was sponsored by Whale Watch Kaikoura, but all thoughts and experiences are my own.